Arunabha Ghosh is a public policy professional, adviser, author, columnist, and institution builder. 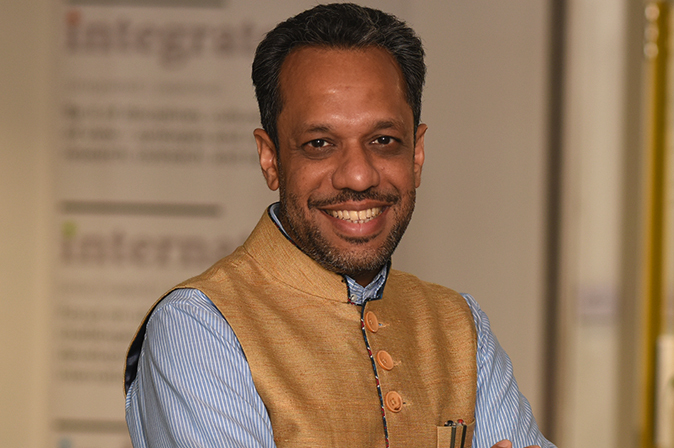 As the founder-CEO of the Council on Energy, Environment and Water, since 2010, he has led CEEW to the top ranks as one of South Asia's leading policy research institutions (six years in a row); and among the world’s 20 best climate think-tanks in 2016. He has been actively involved in the design of the International Solar Alliance since inception. He conceptualised and is founding board member of the Clean Energy Access Network (CLEAN). With experience in 44 countries, he previously worked at Princeton, Oxford, UNDP (New York), and WTO (Geneva). In 2018, the UN Secretary-General nominated him to the UN's Committee for Development Policy. In 2018, the Government of India appointed him as a member of the Environment Pollution (Prevention & Control) Authority for the National Capital Region. Arunabha advises governments, industry, civil society and international organisations around the world. This has included India’s Prime Minister’s Office, several ministries and state governments. He was invited by France, as a Personnalité d’Avenir, to advise on the COP21 climate negotiations; and also advised extensively on HFC negotiations. He serves on the Executive Committee of the India-U.S. PACEsetter Fund. He is a member of Track II dialogues with ten countries/regions; and formulated the Maharashtra-Guangdong Partnership on Sustainability. His monthly columns in the Business Standard (Inflexion Points) and the Hindustan Times (Over The Horizon) are widely read. He hosted a documentary on water in Africa, and featured in a National Geographic documentary on energy. He is a World Economic Forum Young Global Leader, was a member of WEF’s Global Future Council on Energy (2016-18), and an Asia Society Asia 21 Young Leader. He holds a D.Phil. from Oxford and topped Economics from St. Stephen’s College, Delhi. Fight ignorance. Stay true. And raise the bar. Arunabha not only sets benchmarks as a researcher, but also as a person.